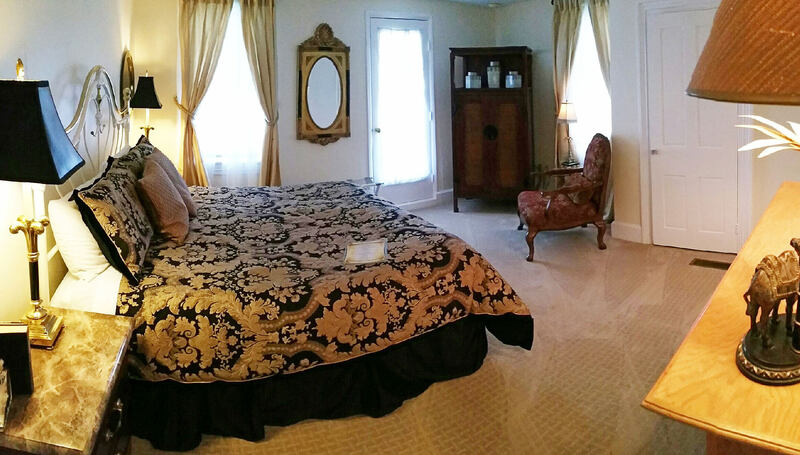 The Hunter Room is a popular second floor room with King White and Brass "Heart" headboard. This room opens out onto a veranda that overlooks the quaint historic district of town. Flat screen TV and year round fireplace. In-room private bath with tub/shower combination.